Does Having A Belt Stiffener Matter? Some wonder if springing for a belt that has a belt stiffener is really worth it when they look for a carry belt. In truth, it is a worthy question; only a handful of companies make belts with internal stiffeners and they tend to charge more for them. After all, why shell out if you can just get a ccw belt for a few bucks at the local mega mart store? Because a belt tends to last longer with one, that's why. A decent belt is going to involve a bit more in expenditure than an off-the-rack department store belt; a reinforced belt purpose built for use as a gun belt is likewise going to require one make a bit more investment than they might otherwise be called on to make. There's good reason for this. First, most belt companies that actually sell reinforced belts tend to offer specialized products that are made from better materials than the belts one finds in the department store. The nylon or webbing used in tactical belts with stiffeners tends to be much stronger stuff than the gun belts that one can find at the mega mart store; leather belts with a stiffener are usually higher quality as well. Better materials are usually more expensive, which means the cost of the item goes up. Granted, there is usually a good reason - better materials tend to lead to a longer life of the item and a greater capacity for doing the job said item is tasked with. Adding a stiffener adds does add to the bottom line - but it also adds to the belt's stiffness. A reinforced belt is going to have more rigidity than a belt without one. That means it will not only hold it's shape longer, but hold up around the waistline more securely than a belt that doesn't. Why bother with a belt stiffener? Well, a belt that has one has a higher capacity to do the work a belt is tasked with - holding up pants, a holster and a pistol in the case of a reinforced gun belt - than one that doesn't. 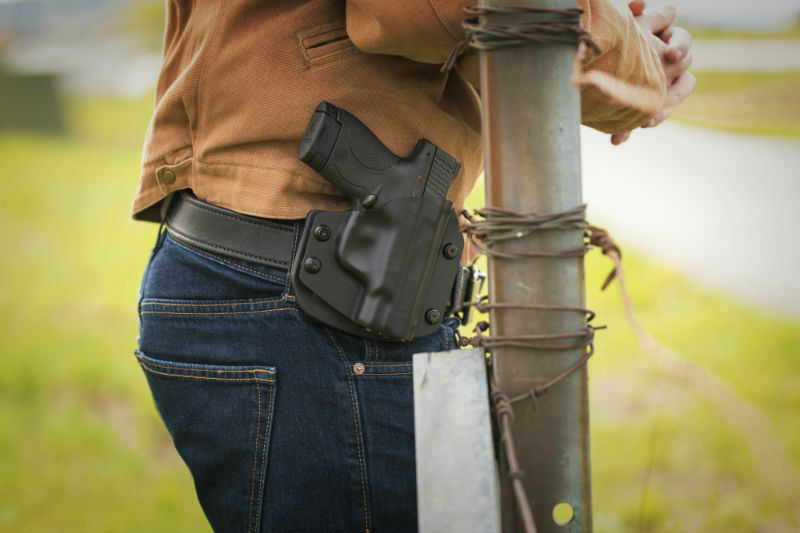 A gun belt is first and foremost a tool, and if a person is selecting a tool for a job one should start by picking one that will do what one needs it to do. Furthermore, a belt stiffener also ensures the belt will do the job longer than a belt that won't. 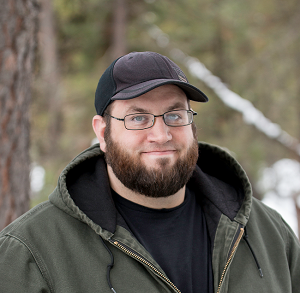 Go to any CCW thread one the internet - such as the Reddit CCW thread. Have a look at some of the belt discussions. What are some of the common threads? One of them is that no one relies on a cheap belt for carrying a gun for very long. Maybe for a range day, but not every day...except if they're waiting for a good one they've ordered to come in the mail. Another common thread you'll find is that even the burliest of unreinforced belts eventually fail, including leather. As leather ages, it tends to soften as the connective tissue loses rigidity after repeated use; this is the "breaking in" process. Ever deal with a new baseball glove? You oil it, wrap a rubber band around it and leave it overnight a time or two and even then it's still a bit stiff. After a few weeks of practice it loosens up and works great. That's exactly what happens to a leather gun belt or any leather good. 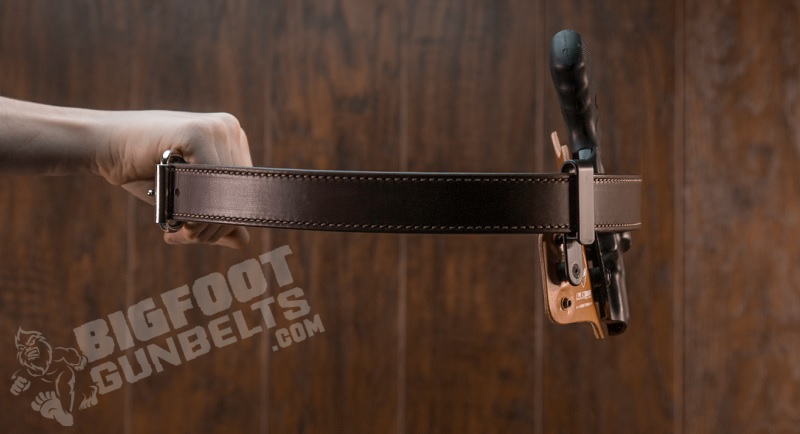 For a normal leather belt, this isn't a big deal, but for a person who carries a holster and pistol on their belt...this leads to gun sag, which is precisely what a person gets a gun belt to avoid. Furthermore, the holster and pistol won't stay where they're secured and will move around as you do...which is just bad. What can keep this from occurring? A belt stiffener. Read some more of those belt threads; people who've bought reinforced leather belts nearly universally report that a belt with a stiffener stays strong after break-in. Since the stiffener doesn't need to break in, it stays strong. That way, you won't have to replace the belt for some time. You really should have a reinforced gun belt if you're going to carry every day, especially if you select a leather gun belt. Otherwise, you'll have a big, beefy strip of leather that will work great...for a month or two. Then it will break in, soften and slowly start to sag. After that happens, it will only be a matter of time before you'll need to replace it. What would be the point of investing in a good piece of leather if you're only going to need a new one? No person in their right mind does that with a quality leather jacket or leather briefcase; one shouldn't do it with a leather belt. 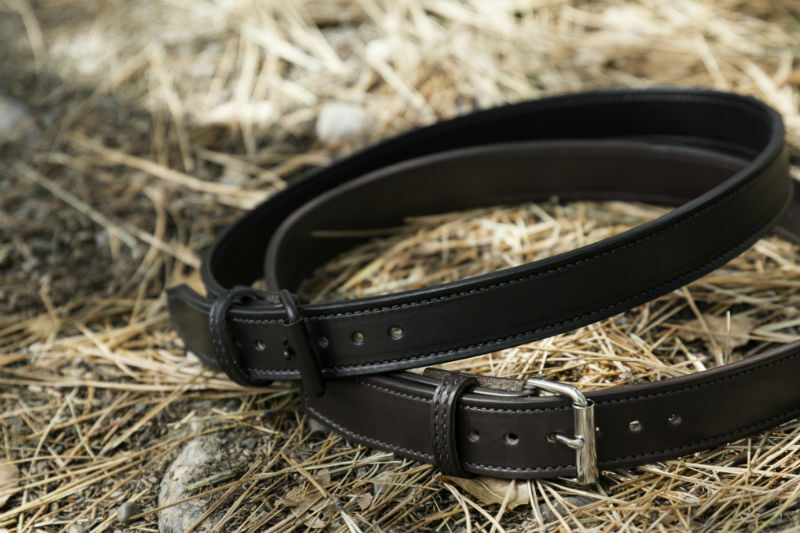 A good leather fashion belt will last decades, if not for life; a leather gun belt can last that long and do it's job for that long IF it's made to do so. That requires reinforcement. So yes, you need a reinforced gun belt.